Don MK2 is a versatile subwoofer which complements the other loudspeakers with a powerful and deep bass. The passive radiator Wavecor PR310WA01 is not longer available. We changed it to the new Wavecor PR312WA02. 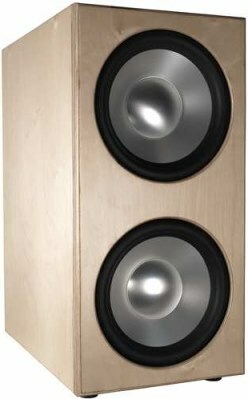 Don MK2 is a loudspeaker with drivers of Wavecor . A passive radiator brings out a deep bass.